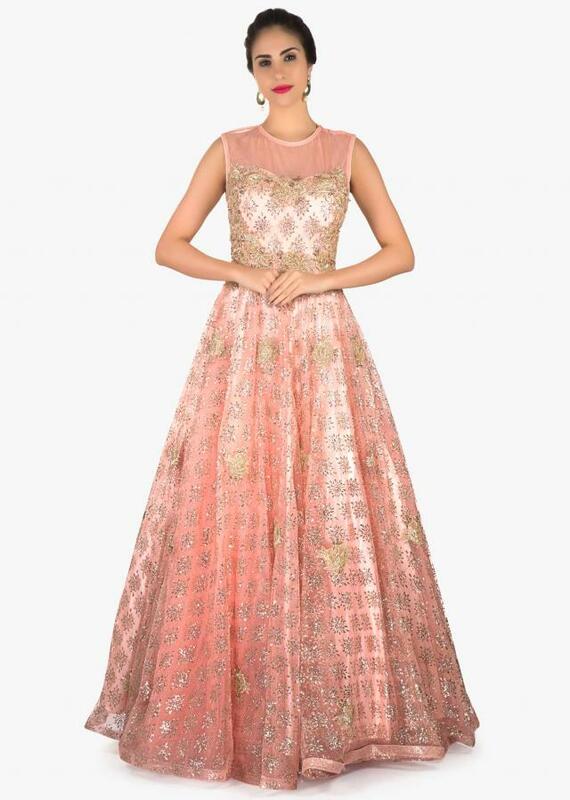 Blush pink gown featuring in shimmer net. 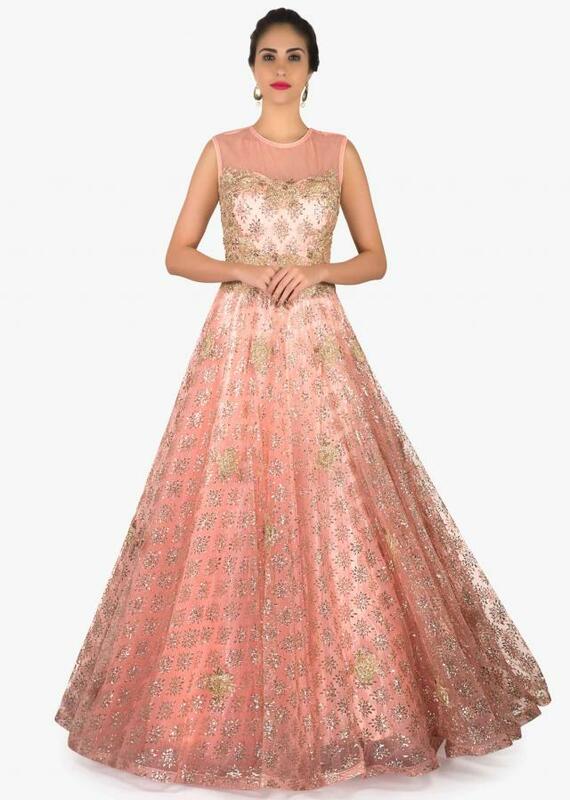 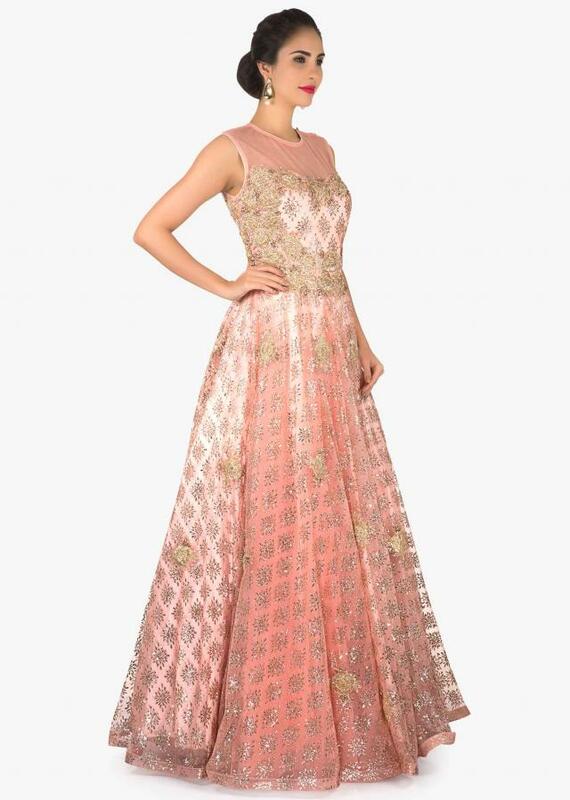 Yoke is in plain net with bodice embellished in zari embroidery. 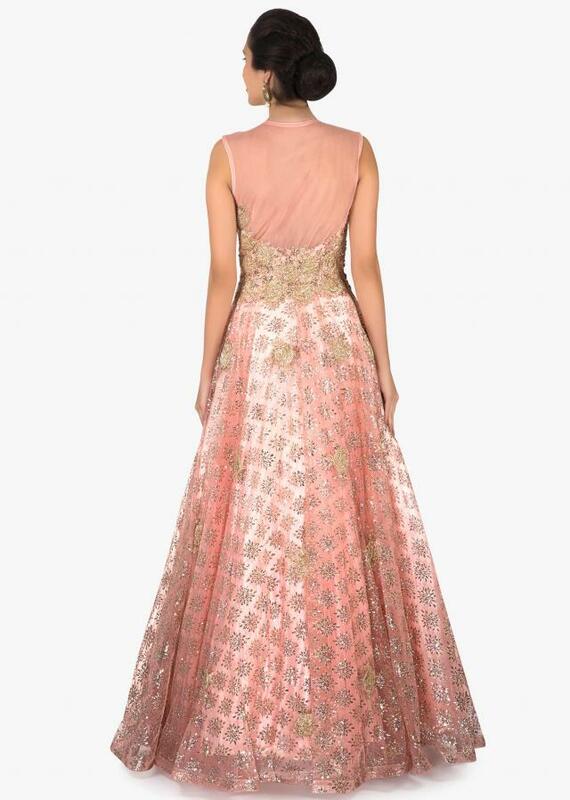 It comes with round neckline and sleeveless.